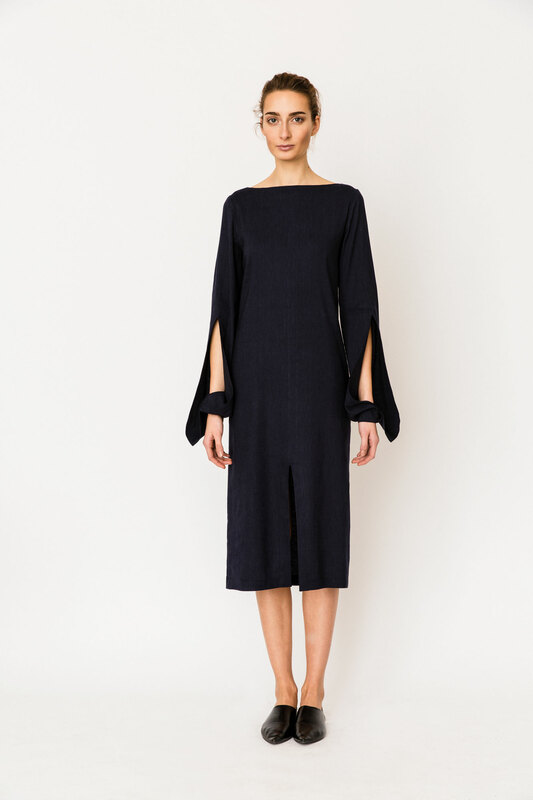 Elegance with a flair. 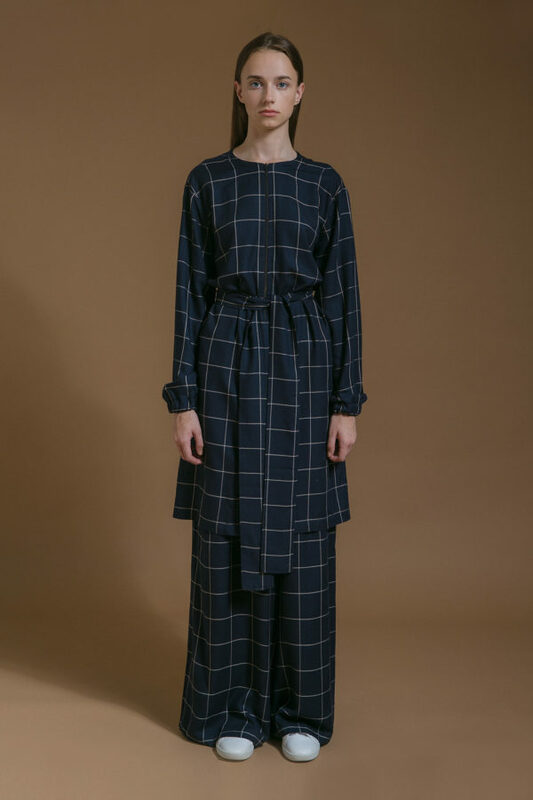 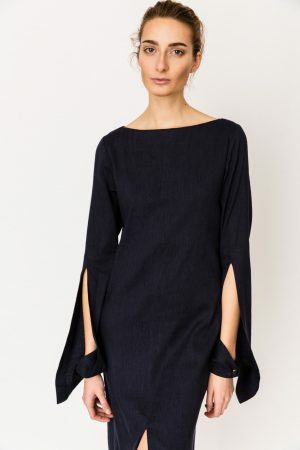 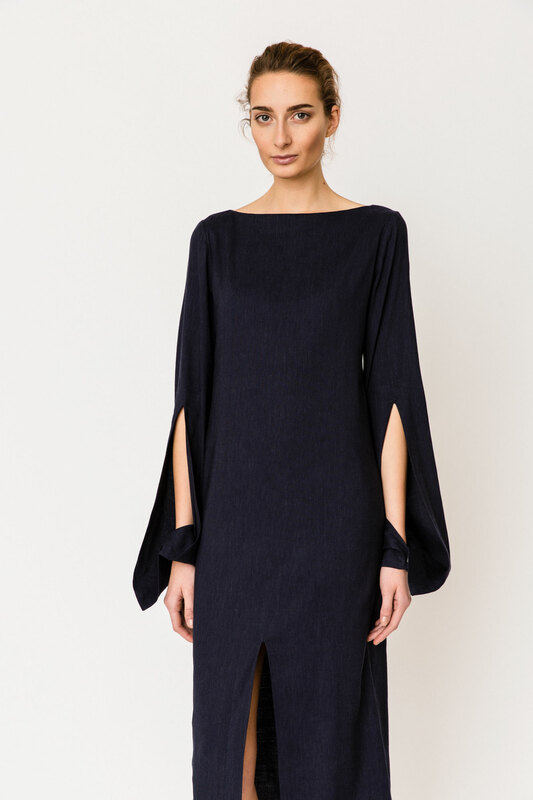 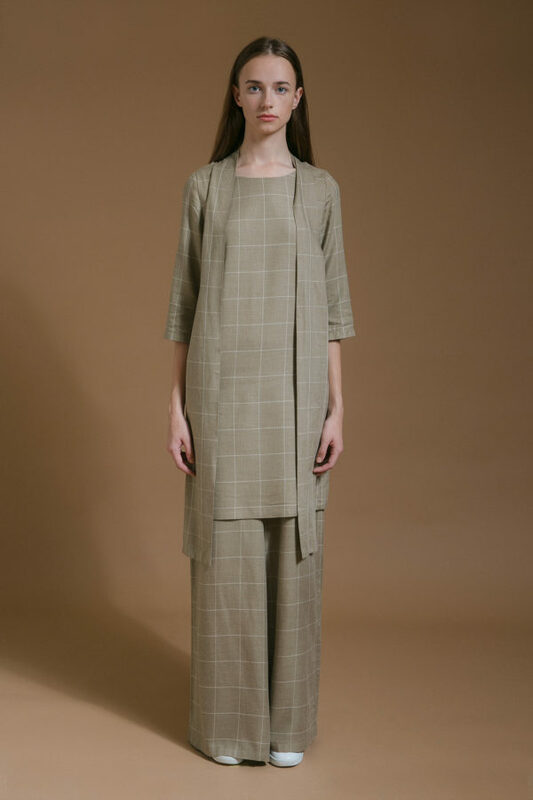 This mid-length dress with a front slit features statement sleeves with deep slits and snap buttons at hems for variable styling: wear unfastened for long bell sleeves or fasten to add volume. 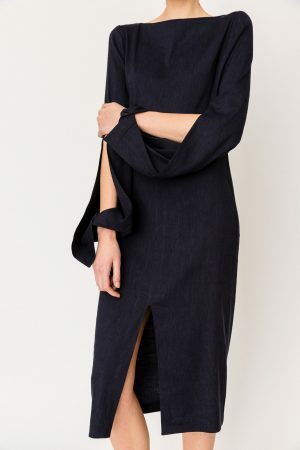 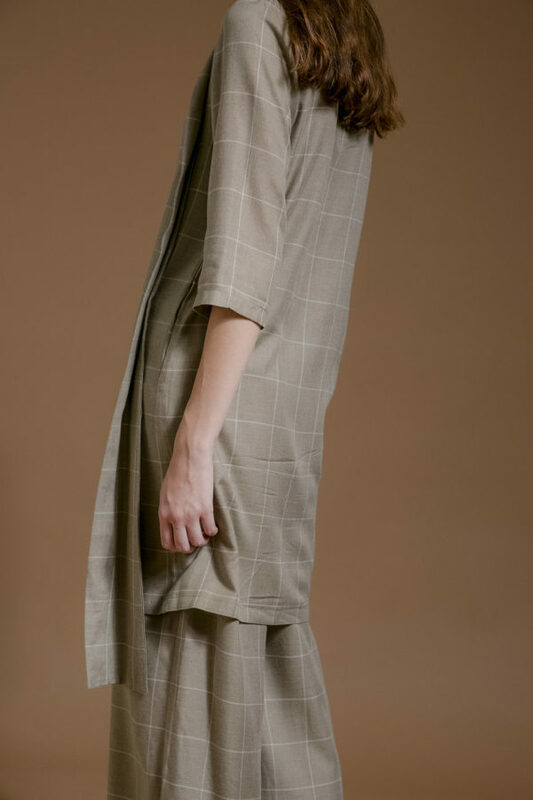 Made from draping, cooling linen-rich fabric, this is a go-to dress for days that feature cocktails and for those that don't.